Just another example of why you should avoid doing business with Bitmain. I was burned by them once years ago and now I avoid them like the plague. Why do people believe that Bitmain may release something that doesn’t work, I’m pretty sure they have a army of people working on the ASIC Algo implementation and I believe that CryptoNight is in for a surprise I believe that it will work and a lot of us are going to miss on it. Bitmain offered buyers of Batch 1 and 2 ant-bricks a refund, credit for $9000 or the ability to get 3 more units in order to reach the same $3000/unit price. hahaha fk best news I have heard in a while on crypto. 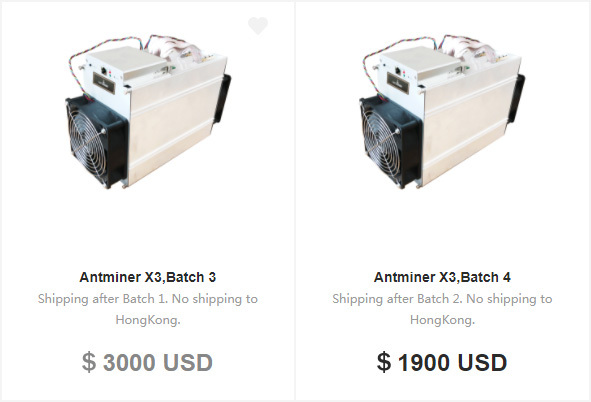 can’t believe bitmain are offering refunds though. they are going against their own policy. They tried to get the best price on market (who would not) and then competition released almost at the same time their machines. The reaction of Bitmain was great. They did not said: we take the big money and dont care – they lowered the price and they even gave refund/more machines to beat the competition. I dont see a scam. I see smart business people who are trying to earn as much as possible, like everybody IS and WILL do. And I see fair business people, who even lower the price and changing past orders. I dont like Bitmain for many reasons, but in this point they never tricked the customers and they played the game fair for the customers like a lot of big players wont do.